Dell PC, Notebook, Netbook, Tablet, & Ultrabook Repair Service by Qualified IT & Electronics Service Professionals. All models are serviced to the component level if needed, and always at straightforward pricing schedules, not houly. All repair costs are confirmed with you before any work is performed. All Computer Diagnostics are Free & If we can't fix it, you pay nothing. (with exception of shipping costs - if applicable). Note also that if another service organization has quoted you an outragouse price or told you your system can’t be repaired don't count on it. We typically get units that the Big Box stores (Office depot, Geek Squad/ Bestbuy Etc.) and others that have mis-analyzed the system and most often we find we can repair them economically. The reason being is these Big Box establishments don't normally hire actual technicians to do these repairs; they typically use sales staff which also gives them a good reason to charge you the service fee, then sell you a new one on top of it. These Big Box scenarios are well known in the IT industry. So If you want a second look at your issues, Simply drop your system off at our store, or ship your system (instructions on this link) - Ship Your System - and we will be glad do a proper analysis of your systems problems free of charge. For Fast Professional Service at the Best Prices, Local & Nationwide. 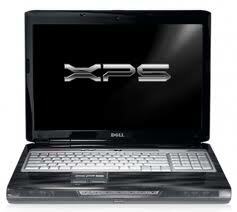 Click on this link - DELL Repairs - to continue to the service page for repairs on your unit. We look forward to serving you. © Computer Services 2011 - All Rights Reserved. Like us on FaceBook ! Fort Oglethorpe location has closed – But we can still help you from our temporary location Or you can choose On-site services…. Are you protected? Why spend hundreds on anti-virus software when we offer it free with our System Optimization Special! Stop by to find out more! Don’t Throw It Just Yet! REMEMBER - Throwing out a System because it has Contracted Viruses is a WASTE OF YOUR MONEY! So very often... There is usually NOTHING wrong with the hardware you’re replacing NO MATTER HOW BAD IT LOOKS... AND NEW Computers GET VIRUSES JUST THE SAME as the one you have now... and JUST AS EASILY! There is NO new "WONDER TECHNOLOGY" to keep your computer from getting infected as some salespeople might want to imply to you! ...However after our services we offer you better tools than you can buy AND FOR FREE! We also take the time show you how you can help keep your systems clean. Why not save your money and get your system serviced instead... We can make your old computer run EVEN BETTER than it did when it was new with our optimized configurations, and at a fraction of the cost of New Hardware! AND A BIT MORE ABOUT BIG BOX STORES! ...If by chance (and believe me it's NOT by chance) they have conveniently told you that your system isn't repairable and/or the cost analysis was too high, you might know that most of their people are NOT technicians at all... And it's VERY COMMON when customers bring their units in after having them checked at a BIG BOX STORE that most often you'll have completely different Diagnostics with our certified technicians, ...and even if they are correct (which is not often in our experiences) our rates are much more in line with reality to have the system repaired. AND you'll get REAL TECHNICIANS with MORE REPAIR OPTIONS THAN THE BIG BOX GUYS (they NEVER do board level repairs, among other things)... And at Computer Services WE ARE NOT just sales staff tries to ROB YOU BLIND in order to sway you to buy new like the all BIG BOX GUYS do. AND OUR DIAGNOSTICS ARE ALWAYS FREE. So No matter what someone has told you, Check with us our Certified Technicians before Throwing out your perfectly good hardware over nothing at all! Call us today and let the Computer Services Tech's Check out your System FREE and at NO-Obligation at all to you - WITH NO SURPRISES! We'll never do the work until you say so! Be assured Computer Services will always be there for YOU! Ask any of our customers, THEY LOVE US! ...And we go the extra mile to keep it that way with every one of them!